ADD THE IOWA CDL TURBO APP! 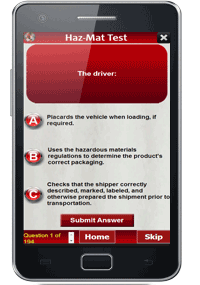 All Mobile Devices: You will receive your 2019 CDL Practice Exam App for the Iowa Commercial Driver's License and All Endorsements for your mobile device. You will not need to create an account on an app store and you will be able to download immediately. 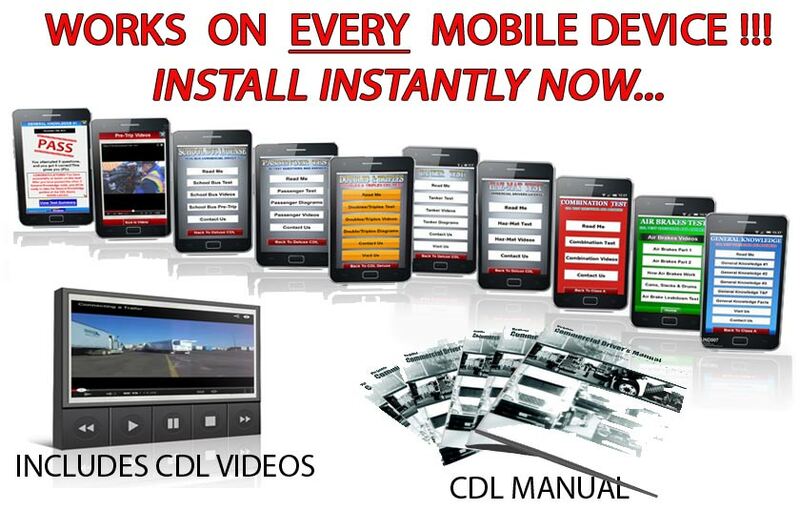 Instant App Install: Order Now and you will have All the 2019 CDL TEST APPS in addition to the DELUXE IOWA CDL SOFTWARE. 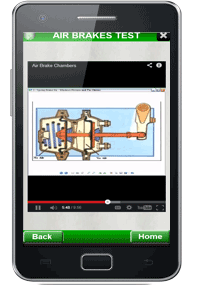 The CDL Turbo app also includes the training videos that are also able to be played on your mobile device. It is as easy as clicking on an app install link after purchase. Instant Exam Updates: As we acquire any new practice exam questions and answers to the tests and all endorsements you will receive them immediately! 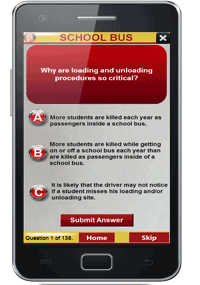 Your CDL Testing App will ALWAYS be up to date. Immediate Scoring Feedback: Just like the software, you will know how you are progressing on your testing app after each question. If you get the question wrong, the correct answer will ALWAYS pop up. You can see your pass percentage as well what questions you missed at EVERY point during your test! 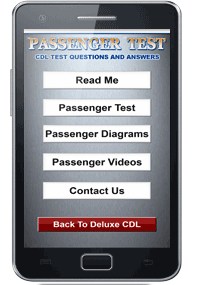 All 9 Iowa Tests and Endorsements: You will be getting all 9 Commercial Driver License Apps! We want to make this clear. This is not just for one app. 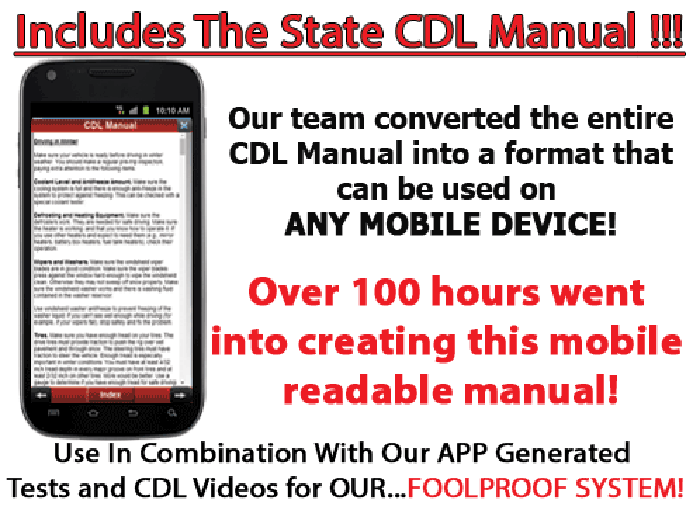 It is every app you will need to PASS ANY CLASS OF CDL! User Friendly: We understand that you may not be a computer or app user whiz. 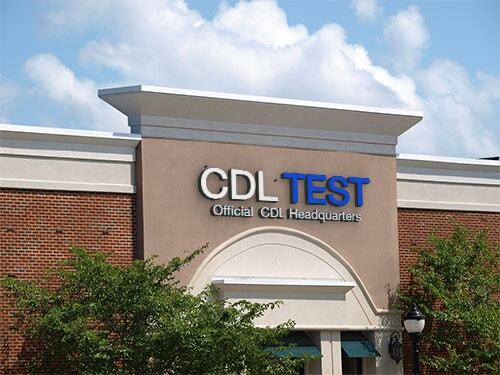 We know you just want to Pass the CDL Exam as soon as possible. Our design team made this app super easy to use!. Lightning Fast: Your Commercial Driver's App is Fast - unlike other apps, this app was made for speed. Use Anywhere: Your app can be used while riding in the car, during commercial breaks while watching tv, or even while waiting in line at the grocery store. 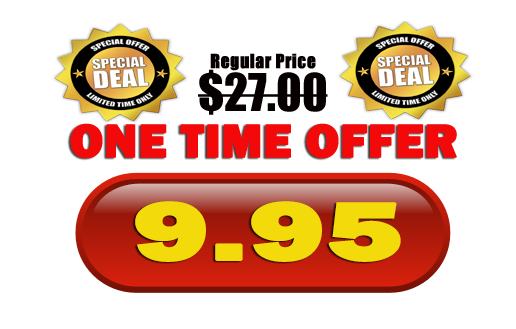 Works on Phones and Tablets: Your app was designed to work on ALL Smart Phones and Tablets. 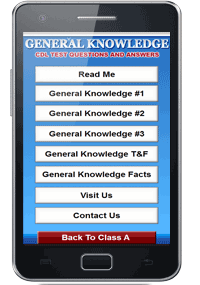 The Iowa General Knowledge App has the revised practice test questions and answers...325 to be exact! 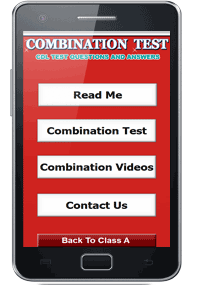 We have every possible practice test question you need to study in order to pass your exam. If you are unable to pass this general knowledge true and false, you are not ready for the actual commercial driver's test. You will need to keep taking the multiple choice general knowledge practice exam until you can pass this general knowledge true and false test. 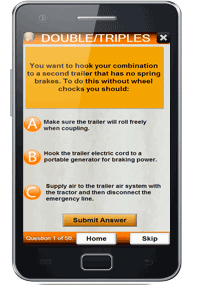 The Air Brake Endorsement Test App has the LATEST questions released. Use this along with the included instructional videos for your best chance at getting your Iowa Air Brake Endorsement added! Our Iowa Combination Endorsement is just the ticket for that big rig job. 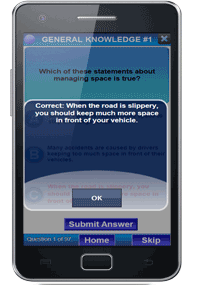 Use this endorsement app to get that combination endorsement added to your license. You can get started studying today! Hauling hazardous materials is not an everyday job, but many times it is required to keep your job for many companies. The Iowa Hazardous Endorsement App guarantees you will pass and get this difficult endorsement added to your license. Tankers provide a whole new issue when hauling liquids such as unbalanced loads. 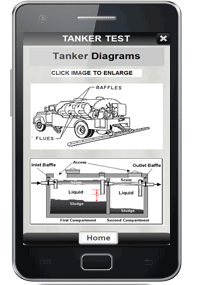 We have the Iowa Tanker App you are looking for when you need haul liquids. Getting your Iowa Passenger Endorsement will allow you to drive a Greyhound Bus, limousine, or transporting persons in a vehicle for hire. With the economy the way it is, this passenger endorsement is perfect for that second job! Getting your Iowa Doubles and Triples Endorsement will allow you to drive a a tractor trailer (semi) that has two or up to three trailers attached to the rig. By passing this endorsement you will be a great asset to your company! Many people are getting their School Bus License for endless job opportunities or as a means to supplement their income. We receive calls everyday from retirees and persons who are "layed off" asking for our help. Years On Internet: Over 10!! !